Adelaide Gaol Preservation Society Inc | Adelaide Gaol, a major part of Adelaide's heritage. One of the two oldest public buildings in Adelaide. Adelaide Gaol is claimed to be the most haunted site in SA. Visit the Adelaide Gaol for a guided tour. The Gaol is a major part of Adelaide’s heritage. The Gaol’s history extends from the time of the early settler’s right through to today. As one of the two oldest public buildings in Adelaide, the Gaol has much to offer every visitor. Treat your visit as a learning experience and find out about Adelaide’s penal history or learn about the Gaol’s architecture. You can hear some of the fascinating stories of the Gaol’s prisoners and their life behind bars. The Adelaide Gaol is said to be the most haunted site in South Australia. You may prefer a more chilling night visit to the Gaol on one of our regular Ghost Tours where you will hear about many of the Gaol’s ghostly activities. For the more adventurous you could attend one of our Paranormal Workshops and learn even more about the Gaol’s paranormal activities. We are the original Adelaide Gaol tour operator! Come and share our passion. Why take an AGPS Tour of the Adelaide Gaol? We are long established as the original and premier tour experience at the Adelaide Gaol. We only conduct tours at the Adelaide Gaol, which means our efforts are focused solely on bringing you the best possible tour for this location. 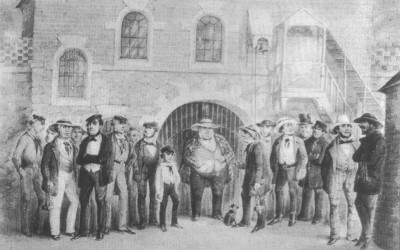 The AGPS are the original Adelaide Gaol tour operators. Our members developed and conducted the original Adelaide Gaol Tours. We have conducted History Tours at the Adelaide Gaol since 1988 and Ghost Tours since 1998. During that time our guides have accumulated a wealth of knowledge and experience about the Gaol. Some of our longest serving members are regarded as the official Adelaide Gaol historians and paranormal investigators. Our guides are professional, knowledgeable and friendly. They also have considerable firsthand experience with the Gaol’s extensive paranormal phenomena. This experience has been gained while conducting thousands of tours over many years. Our guides are all volunteers; they have a love for the Gaol and its many characteristics. The AGPS is not affiliated with any privately run Gaol tour operator. We are all volunteers and our focus is to bring you a genuine, value for money tour. What can you expect on a tour? We pride ourselves on having the largest collection of original, authentic and spooky stories. These stories have been gathered over the past 25 years. You will get to hear about the hangings, the burials and the many ghosts who continually wander the Gaol’s premises. For the devotee of the paranormal we have our Paranormal Workshops leading to our Paranormal Investigations. These have been developed by the Adelaide Gaol’s original paranormal investigator, Jeff Fausch, who was the co founder of Paranormal Field Investigators. Jeff has developed and trained a team of investigators who concentrate on the large amount of phenomena occurring at the Gaol. – Experience life behind bars! – Become a prisoner and see life from the “inside”. – Serve your time and lose your freedom! We also run Twilight Tours for the more faint hearted and those under 16 years of age. These tours include a mixture of history and paranormal stories. Duration of these tours is about 90 minutes and some of the more grisly content has been removed. Guided History Tours are available either during the day or evening. We can tailor your tour to include morning or afternoon tea, a lecture on the history of the Gaol, or specific aspects of the Gaol site. 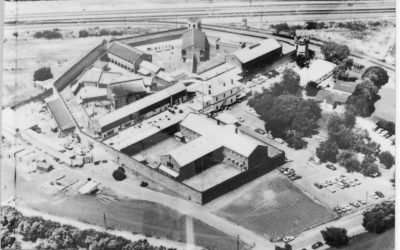 A Visit to the Adelaide Gaol – 1939.